Dr. Phillip “Flapp” Cockrell will talk about being an alumnus of the Upward Bound Program during a National TRIO Day program this week. 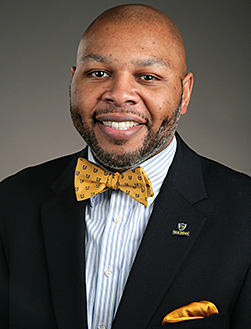 The UT vice president for student affairs will be one of the keynote speakers at “TRIO: Shaping Tomorrow’s Leaders Today” Saturday, Feb. 9. The event to express appreciation for TRIO programs will take place from 10 a.m. to 2 p.m. at Owens Community College in the Center for Fine and Performing Arts Building. “The Upward Bound Program truly saved my life,” Cockrell said. “My many identities include first-generation and low-income. My father is one of eight children, and my mother is one of 13. Cockrell and his brothers and sisters all attended Upward Bound, one of several programs included in TRIO, a federally funded, college-based educational opportunity to motivate and support students from low-income backgrounds. The University of Toledo offers TRIO Student Support Services, a well-established retention program dedicated to increasing graduation rates with a special emphasis on first-generation and Pell Grant-eligible students. “TRIO helps students who are normally underrepresented and not familiar with the college-going experience to navigate the system,” said Robin Stone, director of UT TRIO Student Support Services. The University’s Upward Bound Program is one of 974 in the country that provides instruction and tutoring in literature, composition, mathematics and science after school, on Saturdays, and during the summer. Since 2017, UT also has offered a TRIO Upward Bound Math Science Program. Continuing to serve these students is at the foundation of TRIO. “TRIO Student Support Services serves the same population at the college level,” Stone said. “UT TRIO is one of 1,069 in the United States and serves 160 students each year. In addition to Cockrell, Diana Patton, CEO of Diana R. Patton Consulting LLC, will speak at the TRIO event. 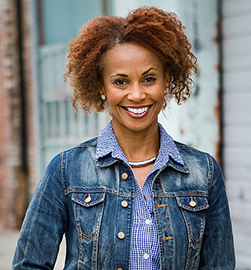 She is the author of “Inspiration in My Shoes,” a 2016 memoir that chronicles overcoming abuse, racism and heartache. “Diana Patton will talk about unconscious behavior and acting out. She will discuss how to grow beyond what we have been programmed to do and how each of us, students and educators, can groom tomorrow’s leaders,” Stone said. Patton speaks on leadership, emotional intelligence, diversity, inclusion and equity, as well as trauma-informed care. She serves on the UT College of Health and Human Services Board and the UT Paralegal Advisory Board. The National TRIO Day event is sponsored by The University of Toledo, Bowling Green State University, Lourdes University and Owens Community College. For more information on National TRIO Day or UT TRIO Student Services, visit the UT TRIO Student Support Services’ website. This entry was posted on Wednesday, February 6th, 2019 at 3:16 am and is filed under Events, News, Student Affairs, UToday .